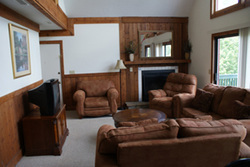 Rates are $99/night and up, subject to availability. * In the Loft units, the Master bath and sleeping quarters are in the loft, but they are not completely closed off from the living area. 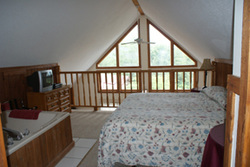 Thus, the master bedrooms in our lofts are not considered fully private. The smaller bedroom, located on the lower level, is private. contact the Alpine Crest Office.